Save $15.00 on any NicoDerm or Nicorette! Looking to quit smoking? Nicotine replacement therapy like the patch and gum are proven to help! Take back your health today! Valid on 14ct. NicoDerm product, or 72ct. or larger Nicorette product. Coupon expires 2/18/17. 75¢ Off Crest Pro-Health Mouthwash! 237ml or larger. Excludes trial/travel size. Expires 3/31/17. $1.00 off one Vicks DayQuil product! Excludes VapoDrops, QlearQuil, ZzzQuil, and trial/travel size. Coupon expires 3/31/17. Prilosec OTC, only $15.99 at CVS, usually $24.99! 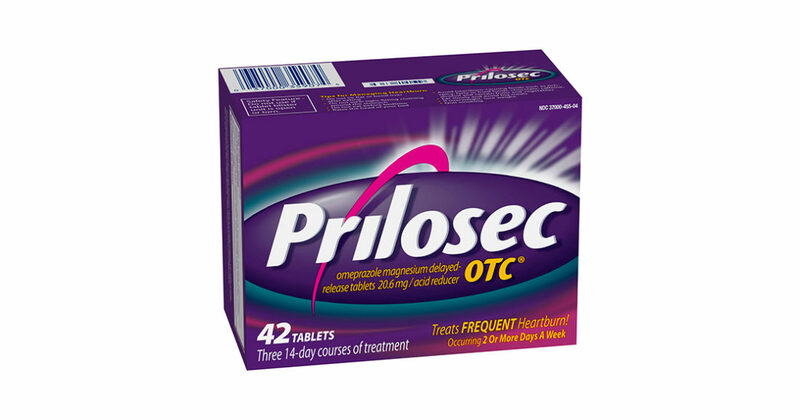 Prilosec OTC 42-ct. is on sale for $24.99 at CVS this week. Get $7 Extrabucks when you spend $25. Use this coupon for $2 off one Prilosec OTC product and your final price will come down to $15.99! CVS deal ends 11/05/16. Coupon expires 11/30/16.